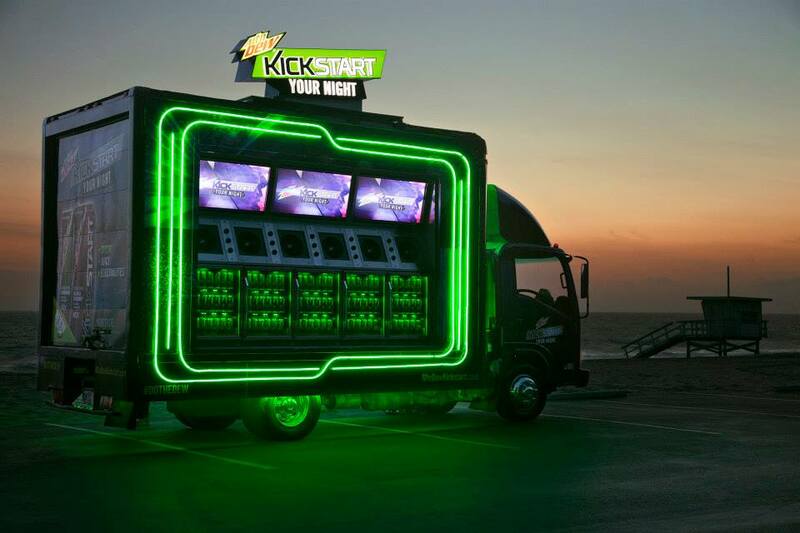 A series of seven party trucks fully equipped with surround sound, multimedia displays, and sampling stations. 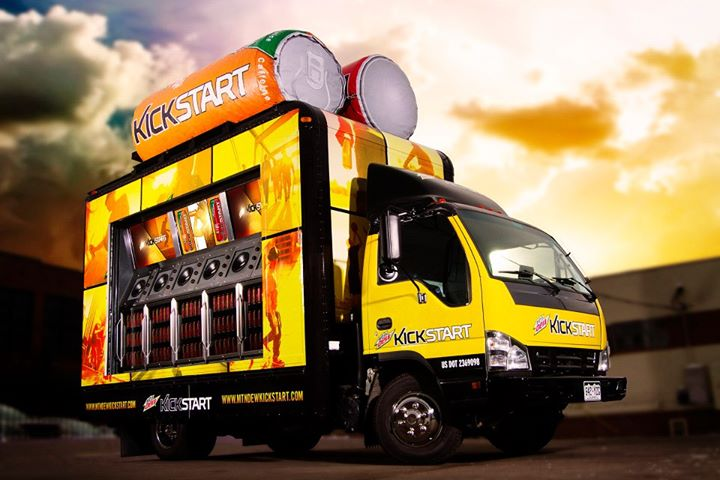 The Kickstart tours were deployed in seven key regions of the country over a six-month period. The party fleet sampled Mountain Dew’s new products and built brand awareness with their target audiences, which helped Mountain Dew increase its market share of the energy drink niche.